REDUCED,NICE HOME,LIGHT AND BRIGHT, 9 FEET CEILINGS, LARGE WINDOWS, GOURMET KITCHEN , NEW REFRIGERATOR,PLENTY OF KITCHEN CABINETS, COZY FIREPLACE,LARGE MASTER BEDROOM WITH BATHTUB AND SHOWER,DOUBLE VANITY, WALKING CLOSETS,LIVING ROOM W/WET BAR, FENCED BACKYARD,2 CAR GARAGE.CONVENIENT LOCATION,WALK TO METRO BUS STOP TO GO TO FORT BELVOIR, ALEXANRIA METRO AND FUTURE AMAZON OFFICES IN ARLINGTON.PRICE REDUCED TO SELL,CHEAPEST HOME ON THE MARKET AMONG THE HOMES BUILT AFTER YEAR 2000 IN ALEXANDRIA. Directions:ROUTE 1 SOUTH, LEFT ON TO RADFORD AVE.LEFT ON TO SONIA COURT #4248 ON THE RIGHT. SchoolsClick map icons below to view information for schools near 4248 Sonia Ct Alexandria, VA 22309. Home for sale at 4248 Sonia Ct Alexandria, VA 22309. Description: The home at 4248 Sonia Ct Alexandria, VA 22309 with the MLS Number VAFX867622 is currently listed at $560,000 and has been on the Alexandria market for 81 days. 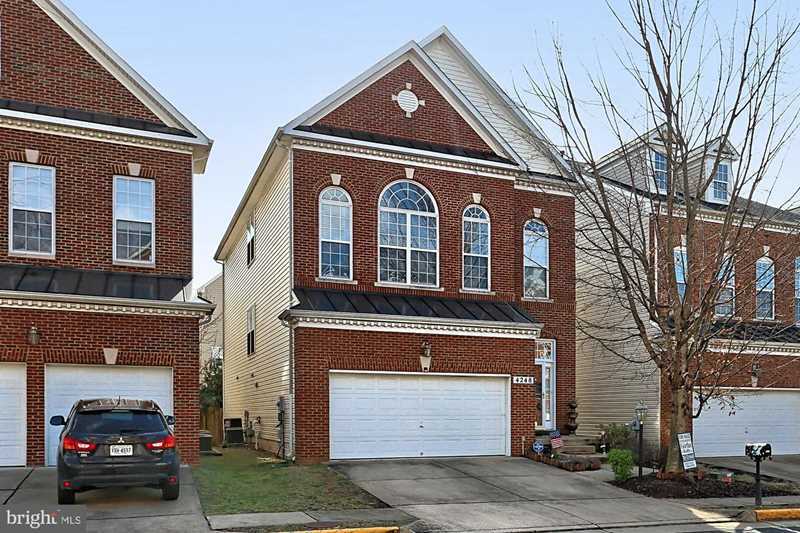 You are viewing the MLS property details of the home for sale at 4248 Sonia Ct Alexandria, VA 22309, which is located in the Mount Zephyr Commons subdivision, includes 4 bedrooms and 4 bathrooms, and has approximately 3030 sq.ft. of living area.